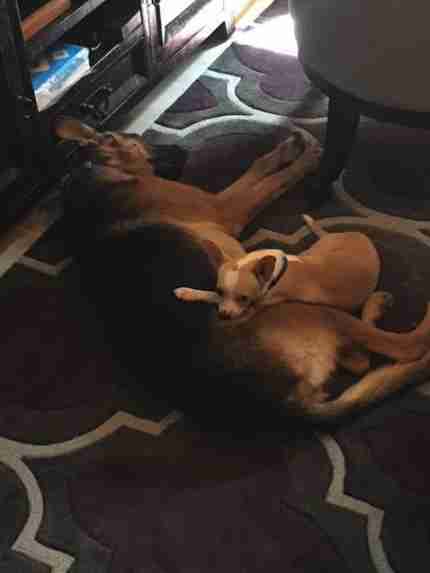 As a pair, Jefe and Jericho are quite contrasting sorts of canines — but despite their differences in size and breed, the two sweet pups are downright inseparable. And they'd like very much to stay that way. The two dogs were surrendered by their former owner to Emergency Animal Medical Technicians from the Arizona Humane Society — and there was little doubt that their bond to one another was deeper than most. Sadly, though, one of the dogs was sick. "From the moment they were rescued, it was clear that Jefe and Jericho were best friends," Ashliegh Goebel, from shelter, told The Dodo in a statement. 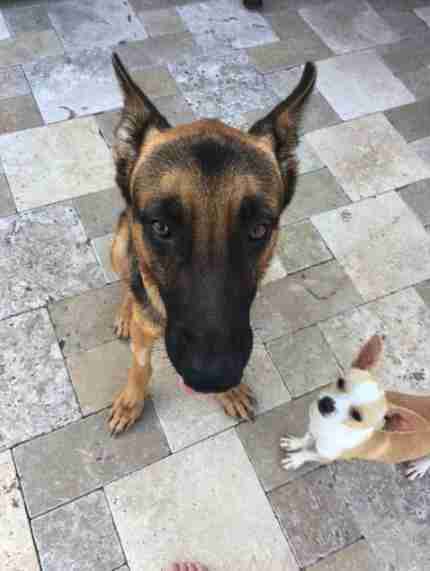 "Animal rescuers were surprised to find a sick, malnourished, tick-infested German shepherd, Jericho, with a small Chihuahua enduringly lying on top of him when they arrived at the scene." Jefe became frantic as rescuers lifted Jericho to get medical attention, so they headed to the Humane Society’s trauma hospital as a pair. "It was then clear that the two were extremely bonded and would have to be adopted together," Goebel said. Fortunately, Jericho's condition has improved, but he'll require daily medication for valley fever to keep healthy and active. 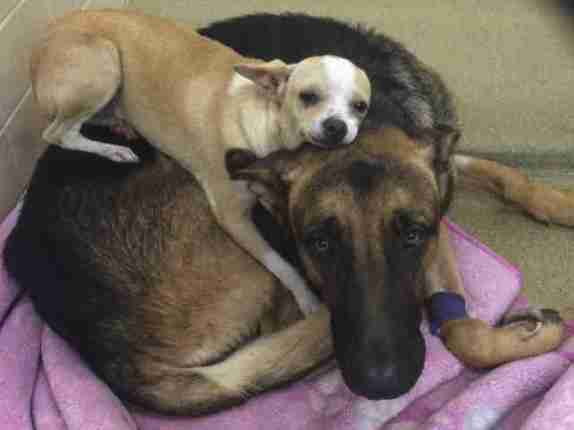 Throughout the recovery, Jefe has stayed by his BFF's side. 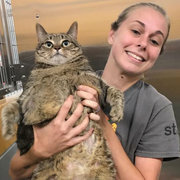 Now that Jericho is doing better, the Humane Society is hoping to find him and Jefe a loving home. After all, who could ever force these two apart? 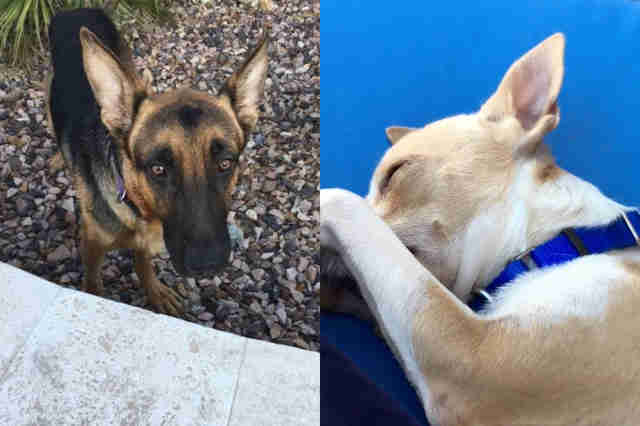 Folks interested in adopting Jefe and Jericho have been asked to call the Arizona Humane Society's Alternative Placement team at (602) 997-7585 ext. 2156. To learn more about other adoptable pets in the area, visit the shelter's page on Facebook.